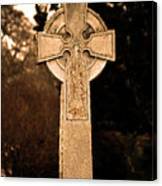 Cemetary cross with the verse from Revelations 2:10 "Be faithful unto death, and I will give you the crown of life". 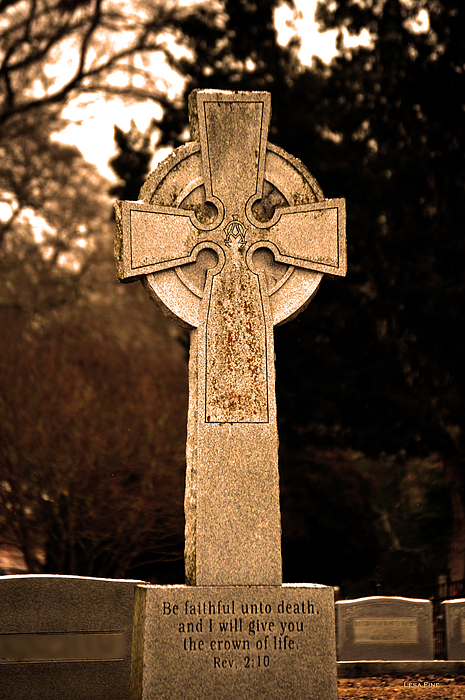 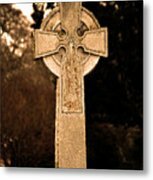 Celtic style cross in Sepia tonal values. 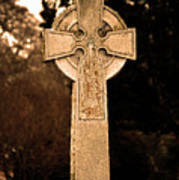 Original photograph made in Florence City Cemetary, Florence, Alabama.